these have been on the table for a while now, but are finally ready to release. 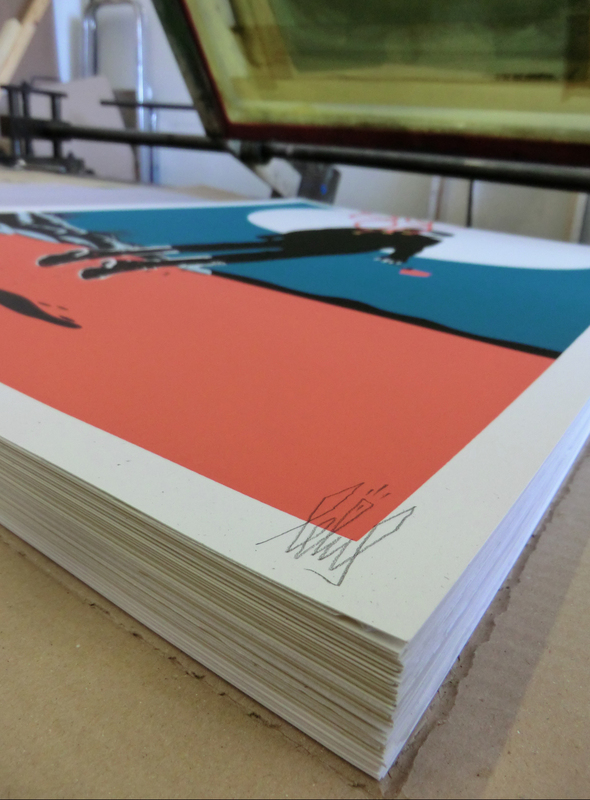 We were very pleased to be approached by Eelus and the Novos team to realise this edition of prints. 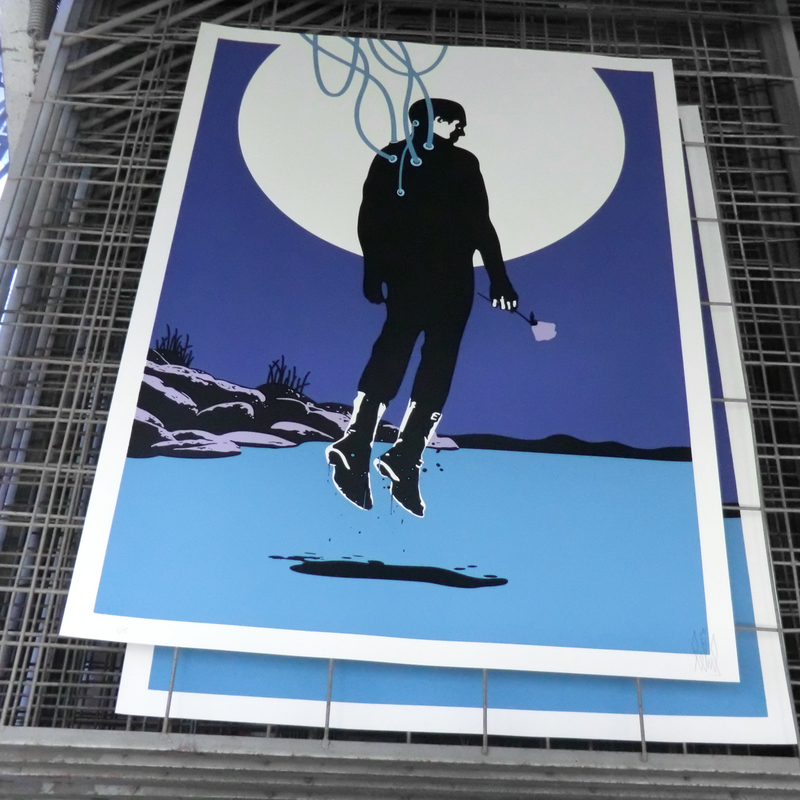 A quick background into the Novos project: Novos is a sci-fi film in the making, part funded by the revenue generated by sales of Novos inspired print editions by a number of carefully chosen artists. This one by Eelus, ‘Foreign Objects’ is a 5 colour print, regular edition 125, a great new recycled stock to the studio, Paperback – Loop (milkweed) 300gsm, 500 x 700mm. 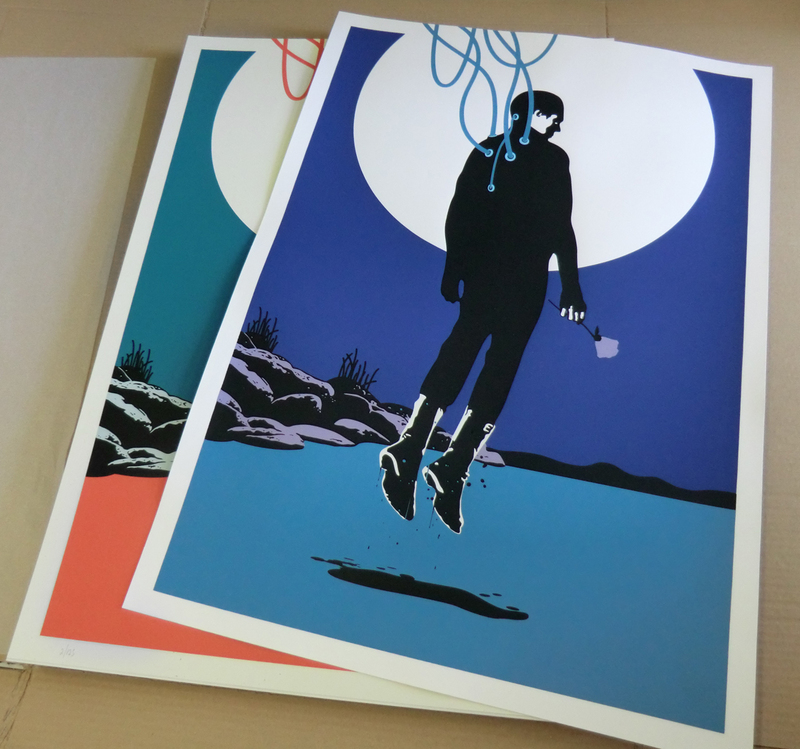 Also comes in a special ‘dusk’ variation (edition of 15). 5 colour printed to Somerset Satin (300gsm) soft white, guillotine edge. These are sure to get snapped up pretty quick, released Friday 25th May, 11am (PST), which is 20:00 UK (BST) if I’ve done my sums right. Go here to grab one from the Novos store, and subscribe to Novos blog here to watch the progress of the film production.